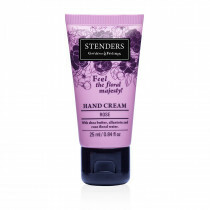 STENDERS Bath and Body Care Cosmetics :: How to care for your hands on a day-to-day basis? Every woman dreams of having neat and beautiful hands. Our hands are a reflection of our own attitude towards ourselves. Hands, just as the face, are influenced by the winds, sun, frost, water, as well as cleaning detergents. Under the influence of these outer factors, the skin of our hands ages much faster. There is justly a saying that you can tell a woman’s real age just by looking at her hands. Therefore taking care of your hands is especially important. 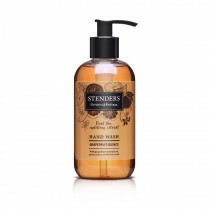 Most commonly we wash our hands and pamper them with a moisturiser, if we have one close by. Here, we have summarised a few suggestions on how to look after your hands on a daily basis, to also indulge your senses and give that velvety softness to each your touch. Wash your hands under warm water. Cold water makes the skin rough and flaky, while hot water dries out the skin as it overly deprives it of essential fats. 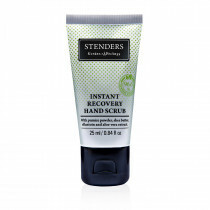 Once a week deeply exfoliate the skin of your hands using a scrub to get rid of old cells. Such a deep cleansing ritual improves circulation and has the moisturiser absorb much faster. From the wide range of STENDERS scrubs, you may select a salt or sugar scrub for deep cleansing and nourishing effectiveness or a creamy body scrub for a slightly more gentle massage. Moreover. We have created an Instant Recovery Hand Scrub, designed specifically to soften, smooth and regenerate the skin of your hands. Always wear gloves while doing your household chores since cleaning detergents (for instance, your dish washing detergent) negatively influence the skin of your hands. Use a hand cream or hand lotion to leave your hands protected, generously nourished and velvety soft. If the skin of your hands is really dry and rough, choose hand creams made with shea butter to nourish, soften and protect the skin of the hands from the external factors – cold and wind in winter-time, wind and heat during summer. Pay special attention when taking care of the cuticles – apply an additional moisture-protective layer to prevent moisture from evaporating. If you often moisten/wash your hands during daytime, this additional step will also protect your nails form over-moisturising. 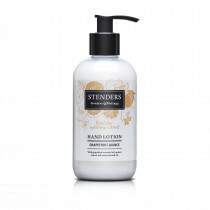 STENDERS shea butter is perfect for this step – the small jar makes it easy to take with you in your purse or store in a desk drawer at work. 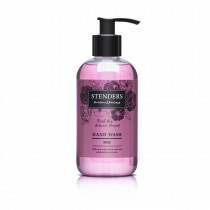 Once a week treat your hands to an indulgent hand bath to purify and soften the skin. To the bath, add about a handful of bath salt crystals or bath milk. 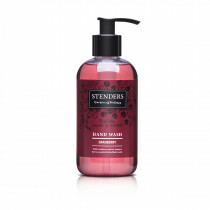 STENDERS bath salt is rich in calcium, potassium and sodium ions that help cleanse your skin and strengthen nails. Such bath helps regulate the moisture balance in the cells, reducing swelling and fatigue. However bath water supplemented with STENDERS bath milk leaves the skin of your hands soft as silk at the same time caring for its elasticity. Milk is a valuable source of protein, so adding a couple of tablespoons to the bath water helps truly effectively care for the beauty of your hands. Before heading to bed, treat your hands and nails by applying a nourishing cream to moisturise and regenerate skin while you’re sleeping.